It is endlessly fascinating to hear of the varied and interesting journeys each of us takes to become a trail runner. For some of us, it is a natural extension of simply loving nature and intending to spend every minute possible in it, to experience what the Germans call “Waldeinsamkeit”, or “solitude in the forest”; for others it began as the result of registering for a poorly advertised 10 miler only to find out upon arrival that it actually takes place in the woods and the only directional markers are random piles of flour. 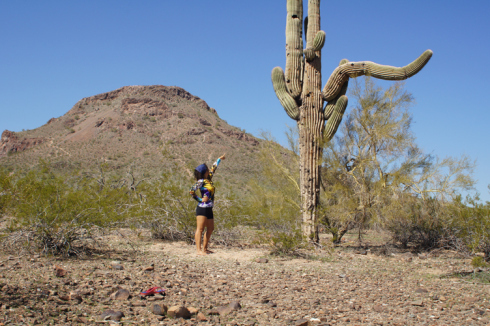 One thing that binds most trail runners (but certainly not all) is a wild sense of adventure, a lack of hubris, and a sincere need and desire to be out in nature, no matter what form it takes. Darkling Thrush is such a guy. He is a Southern trail genius who artfully fuses his beloved day job as a Forest Service professional with his other big love, ultrarunning. He’s the guy that seems to have it all— when you can wake up and say to yourself “I think I’ll do 20 easy today” and the trail is literally steps away from your front door, or, when you say “I think I’ll scour the river bend for trash and then do a leisurely, self-supported, midnight 40,” I’d say this may be the perfect trail running life. As a social services assistant for the Forest service, Darkling Thrush is a dormitory supervisor for the Oconaluftee Job Corps program for young men aged 16-23. He caught my attention a few months with his posts and commentary on the TAUR Facebook page, often offering practical and sage advice to trail newbies, or participating energetically and respectfully in a heated thread about shoe choices. 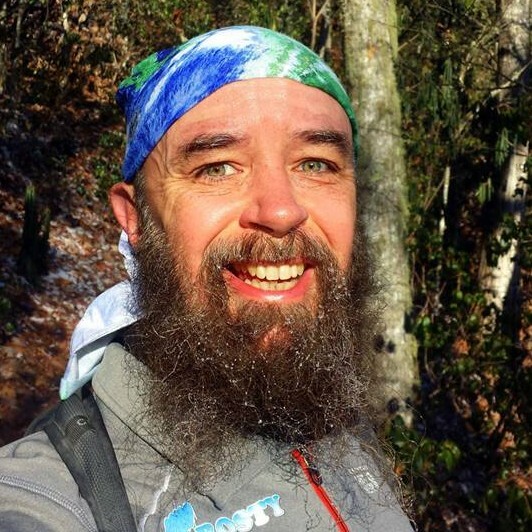 A native of Mobile, Alabama, currently working and residing in Cherokee, North Carolina, he holds a deep knowledge and respect of the outdoors, as well as an unbridled enthusiasm for running particularly difficult ultramarathons. How did you decide that working in the Forest Service was for you? I left [Alabama] in 2002 to pursue a Masters in Environmental Studies at The Evergreen State College in Olympia, WA. I did my first work for the Forest Service that summer in Wenatchee National Forest. One of my duties that summer was checking on volunteer crews of high school kids doing trail work for us; I got to talking to the adults leading those crews and felt called to do that kind of work. So the following summer I took a position with the Student Conservation Association guiding trail crews in Amistad National Recreation Area in Texas and Santa Fe National Forest in New Mexico. 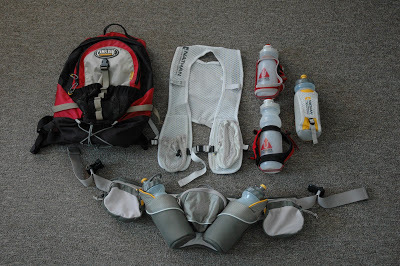 How did you become a trail/ultra-runner? 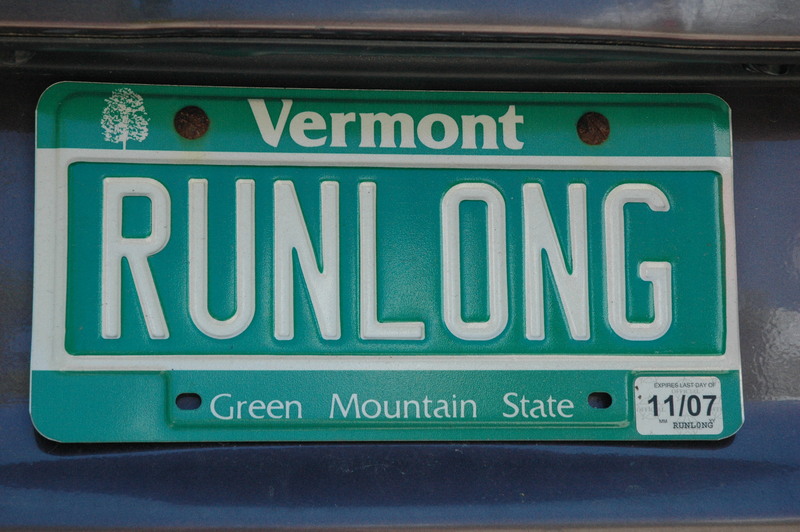 I liked running as a kid, but really started running again when I worked for Outward Bound. We ran 5-7 mile runs with our students at the end of our month long wilderness courses. As one of the older instructors (I was in my 40s and most of the instructors were in their 20s), I took pride in never using my age as an excuse. When the Forest Service transitioned me into a desk job, I struggled at first with not being outdoors most of the time. One weekend in April 2012 I was out doing my usual little four mile run around the lake where I lived when I wondered “What’s over that next hill?” and “What’s around that next bend?” I ended up running seven miles that day. The next week I ran ten and started thinking about looking for an event to run. I had never run any kind of marathon, but found a trail half-marathon near Lake Chelan in June. In late April, however, one of my training runs went for 15 miles. I got ambitious and switched to the 50K option. I have still never run any event shorter than a 50K. 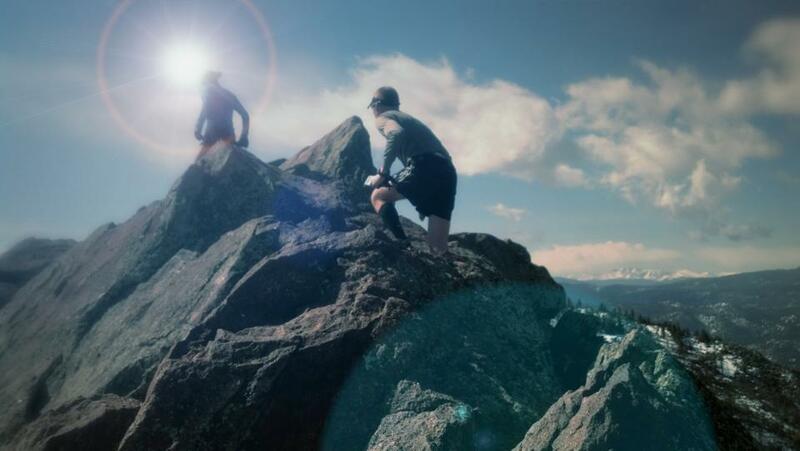 What drives and inspires you as a trail runner? Bernd Heinrich’s “Why We Run” taught me that distance running is our ecological niche. Humans are athletically inferior to other animals in most endeavors, including sprinting, but we are the greatest distance runners on the planet. It is our heritage, our birthright, and we are diminished when we ignore it. Our bodies are made to move, and life just makes more sense while I’m running. What has been your best ultra? Caballo Blanco was the most life-changing. Canyon de Chelly may have been the most beautiful. And I’m still processing my powerful experience from the Double Top 100M I just ran. But maybe my “best” was Chimera 100M last November. It was my shot at redemption after my failure at Georgia Jewel. I picked it because it was the only event left in the calendar year that was supposed to be even harder than Georgia Jewel. It gave me a chance to prove (to myself) that I’d learned my lessons and was worthy of this sport I love. I finished 2 ½ hours ahead of the final cutoff and earned my first buckle. What is your dream event, no holds barred? The Caballo Blanco Ultra Marathon will continue to be the most important event on my calendar for some years to come. It is so much more than a run. It is community for a cause. “While they are at war, we come together to create peace and hope at the bottom of a deep canyon in the middle of nowhere; nowhere but beauty, to create peace and run free. What more is there?” – Micah True (1953-2012). Do you think that our sport is sustainable? Are there too many people out on the trails, possibly destroying them? I know National Parks have said no to having running events within their boundaries, probably for this very reason. The Forest Service has said yes, and many ultramarathons are held in National Forests all over the country, but they are setting limits on the number of participants for each event. I know at least one RD who gripes about the lengthy permitting process, but that is just the agency doing its job to make sure we do keep it sustainable. The key will be recruiting fellow runners to give back to the trails they love. Sean ‘Run Bum’ Blanton, for example, does a great job getting volunteers to help him do trail work in National Forests both before and after the events he organizes, and offers cash rewards to the runners who pick up the most trash during the event. Steve Harvey of Old Goat Runners requires service projects to enter one of his runs. This keeps the trails useable and attractive and greatly increases the chances that our events can continue. What are some things we can do to protect our trails? Volunteer, give back, and leave no trace. Pack it in, pack it out. Every runner should have a plan for packing out their litter (I stick mine in a zippered pocket), including a ziplock bag for used toilet paper. What is your perfect trail? My perfect trail runs through beautiful wilderness, has amazing views, and surprise challenges that I am able to successfully navigate. It features wildlife, whether I see them or just see evidence that they are around and healthy, but few if any other people. My perfect trail lets me forget for a while that I am part of this modern world and lets me feel like part of nature again. omg love this! so perfect. love your blog and writing and all so great what an inspirational. Excellent interview with a guy we all admire here in Western NC. Thanks!